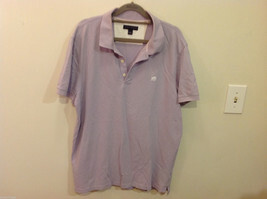 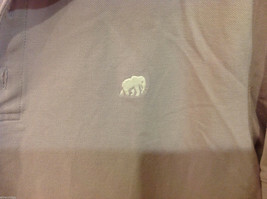 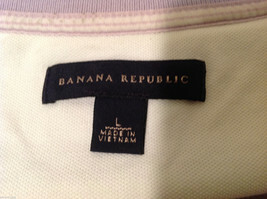 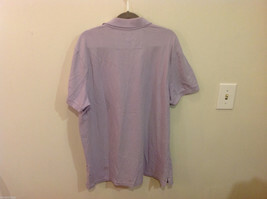 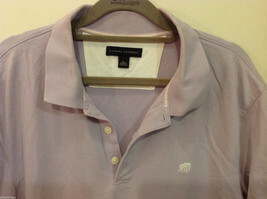 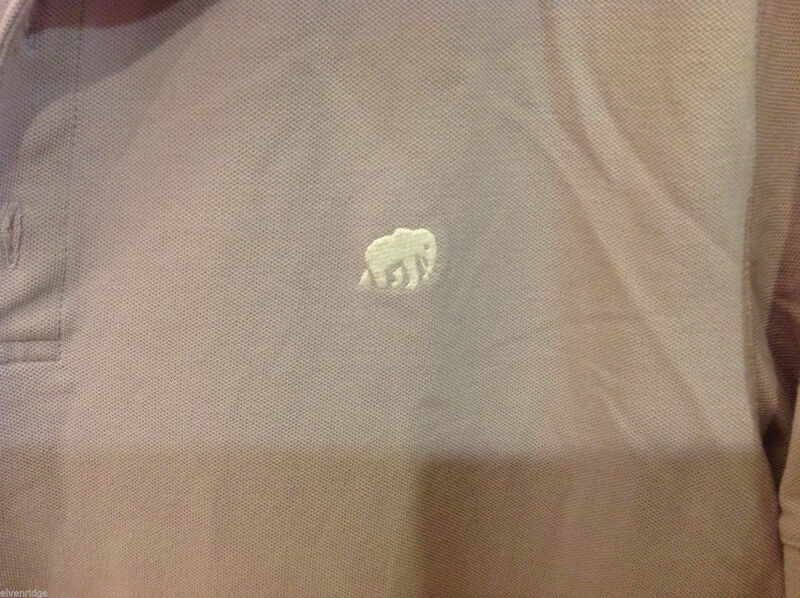 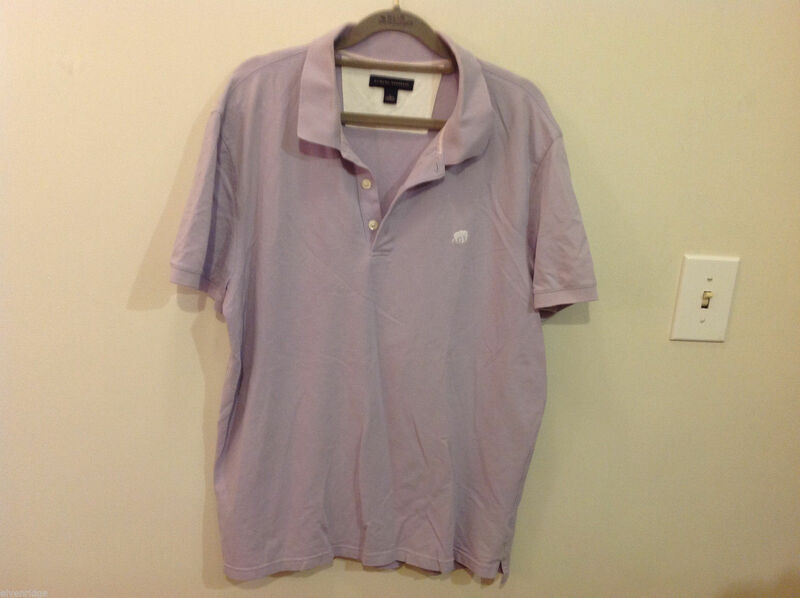 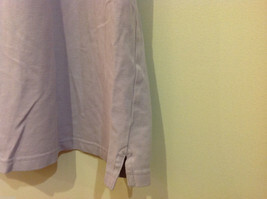 Banana Republic Men's Lavender Stretchable Cotton Polo Shirt with elephant embroidery on left breast, Size L.
Short sleeve, small sleets on bottom sides. 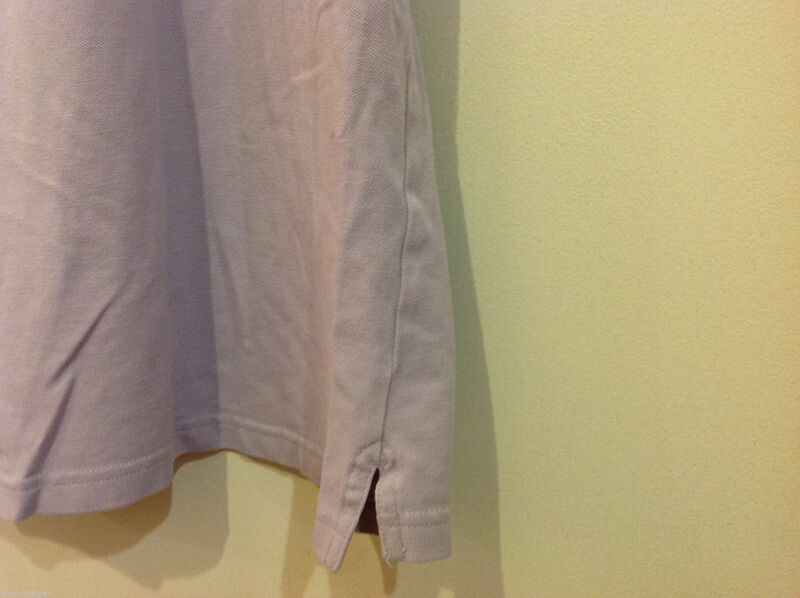 96% cotton, 4% spandex. 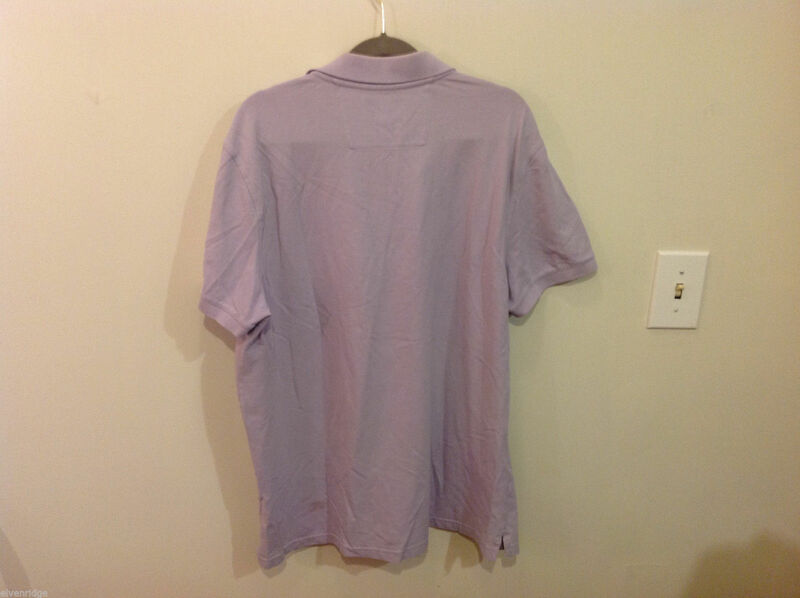 * small stain on back bottom left.